I belong to a tea group through Meetup.com. Every few months one of the co-organizers hosts a tea at her home that simply rocks. Space is limited, and her teas fill up very quickly. When I told Crystal of Eat*Drink*Cleveland about the tea she thought it might interest my readers and encouraged me to post about it. Maybe it will inspire you to host a tea of your own. J. goes above and beyond when it comes to the teas she hosts at her house. We have enjoyed a Mad Hatter Tea featuring food inspired by Alice and Wonderland and a Peter Rabbit Summertime Tea featuring food inspired by the characters of Beatrix Potter. J. and her husband worked hard to prepare the food for this tea, while her daughter M., who attended culinary school, helps put everything together and serve the food so that J. can visit with her guests and be the ultimate hostess. Everything was as close to being authentic as possible from the food to the teas to the music. She had a CD of music that played on the Titanic playing when we walked in. 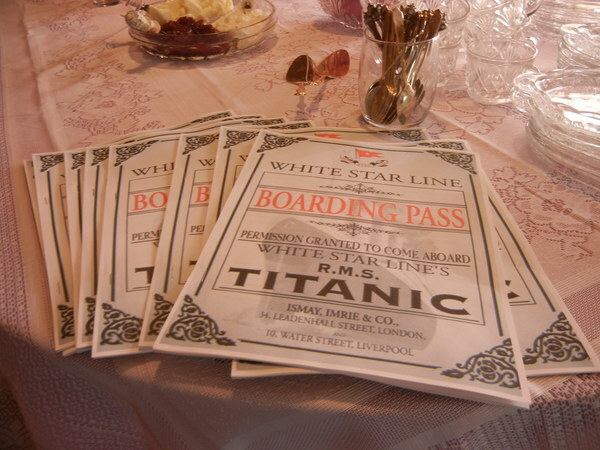 We were handed a handout packet entitled Boarding Pass (printed a likeness of the actual boarding pass) featuring the menu, authentic menus from first, second and third class and various historical facts. Most of the recipes she found came from Tea Time Magazine. 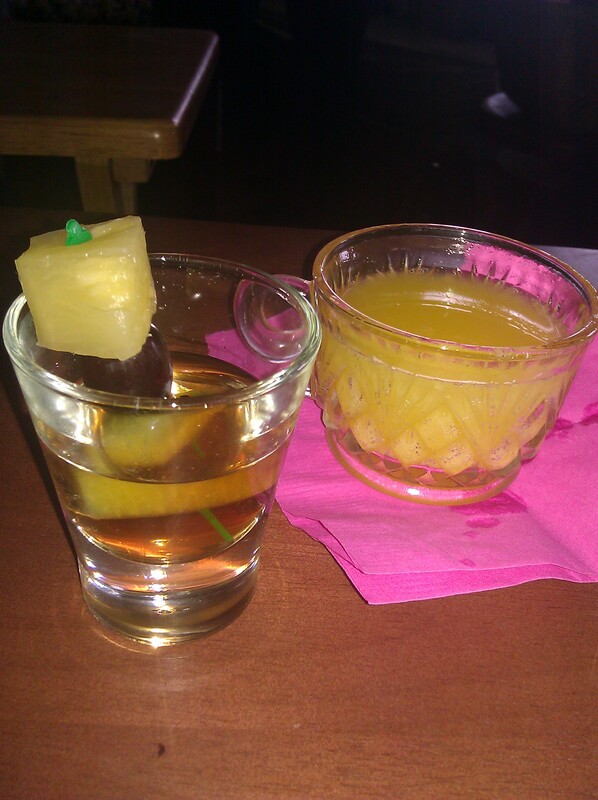 Our first course was champagne punch accompanied by marinated fruit shots, which were fruit skewers marinated in a tea-infused simple sugar. The champagne punch was made with tea, ginger, a bunch of other ingredients, and three bottles of champagne. I preferred drinking it over the tea this time since it was such a warm day. The second course was the scone course. She had made three different scones – a white chocolate and champagne scone, a chocolate coconut almond scone, and a raspberry ricotta scone. The scones were served with butter, clotted cream and raspberry preserves, which we could add or not depending on our preference. I would be hard pressed to choose a favorite, but my favorite scone was the chocolate coconut almond scone. 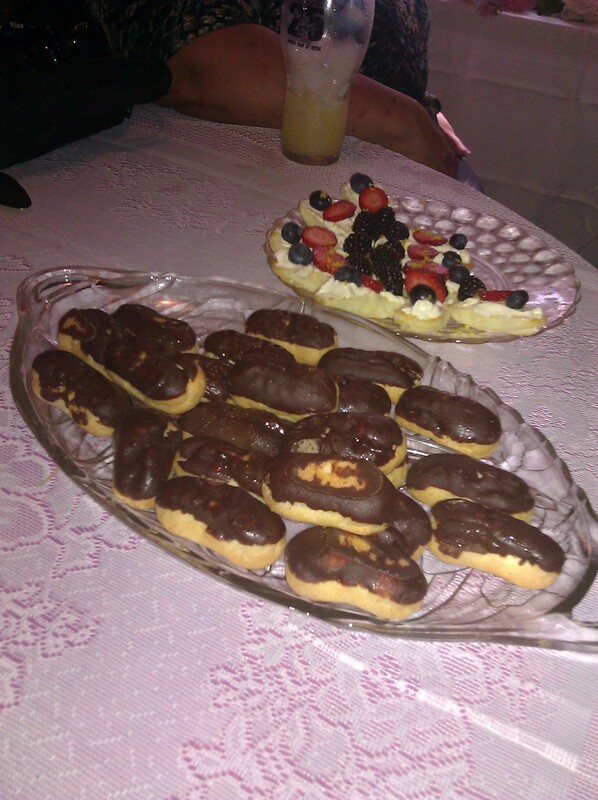 The third course featured assorted tea sandwiches that were inspired by food that had been served on the Titanic. 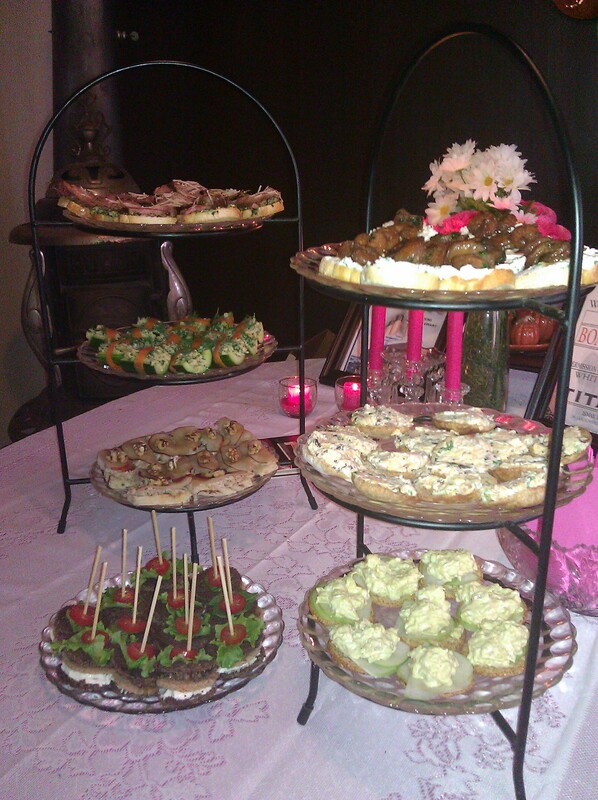 We enjoyed marinated shrimp on crostini, goat cheese and olive tapenade sandwich stacks, bacon and cheddar tea sandwiches on toasted pita rounds, crab salad in cucumber boats, pear and blue cheese canapes, curried chicken and apple toast cups, and lamb with mint pesto on crostini. 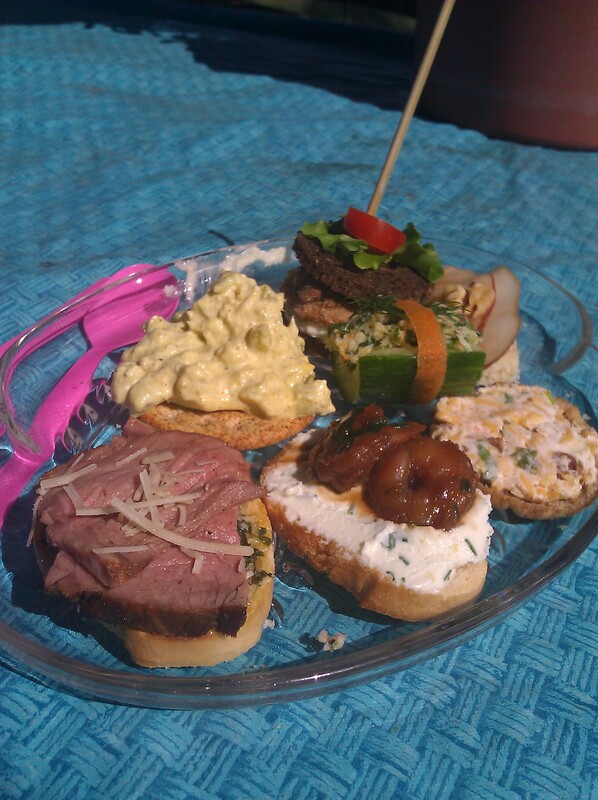 Again, all of the sandwiches were delicious, but my favorites were the pear and blue cheese and lamb sandwiches. 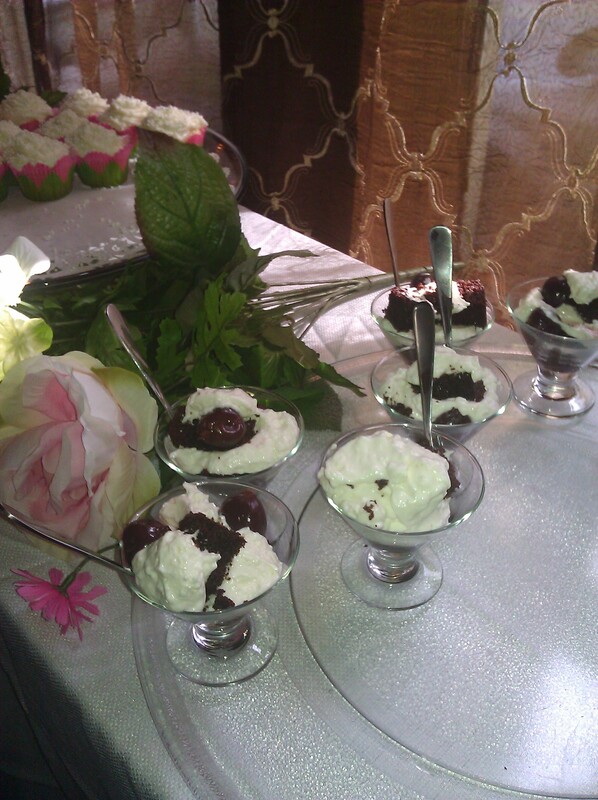 The fourth course was the dessert course. 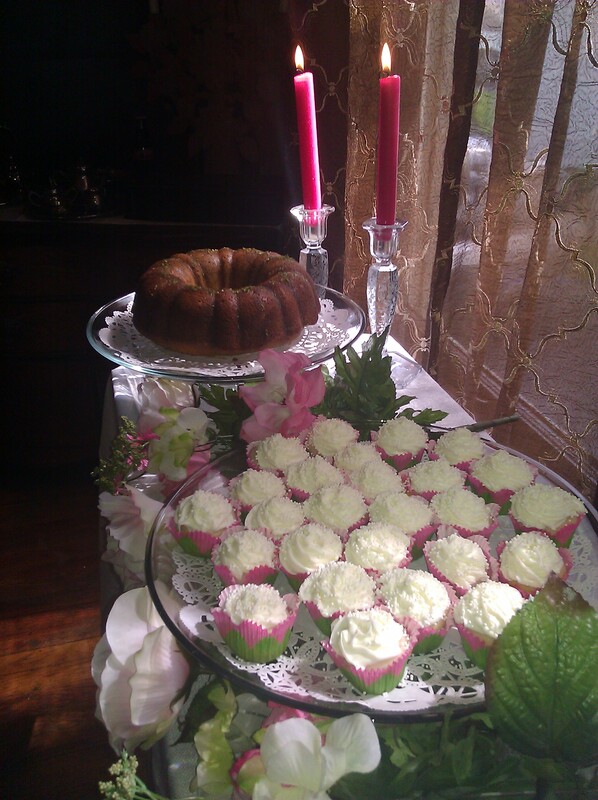 She served Victorian poppy seed bundt cake with a lime glaze, lemon berry ladyfingers, black forest trifle, chocolate eclairs and ‘white on white confections’ (mini-cupcakes with white sprinkles). I had started to hit the wall at this point, but if I had to choose a favorite it would be the mini-cupcakes. They were moist and delicious. 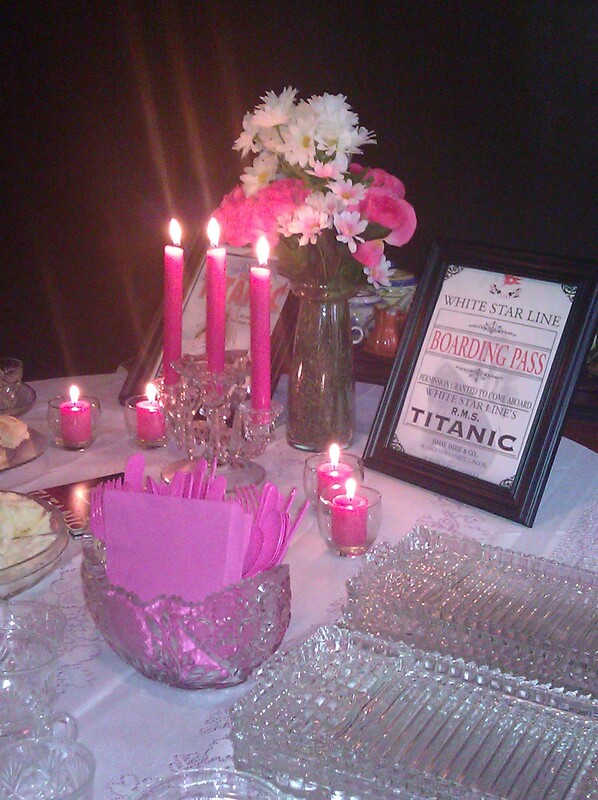 Three different teas were served at the Titanic Tea: RMS Titanic tea, Buckingham Palace tea, and Queen Catherine tea. The RMS Titanic Tea Blend is a Harney & Sons loose commemorative tea blend created to honor the 100th Anniversary of those who perished when the Titanic sank. The tea blend features Chinese Keemun and Formosa Oolong. A portion of the sales will be donated to The Ocean Conservancy. Buckingham Palace Tea is served at the Buckingham Palace garden party every May. The tea blends Ceylon Earl Grey with a soft jasmine from Fujian Province and a malty Assam. Queen Catherine is a Harney & Sons loose tea blend of three Chinese black teas in honor of Queen Catherine, who introduced her love of tea to the British. Not being a fan of Earl Grey, I chose to drink the RMS Titanic Tea. To view more photos, visit http://www.meetup.com/No-Hats-Required-Tea/photos/7477542/. 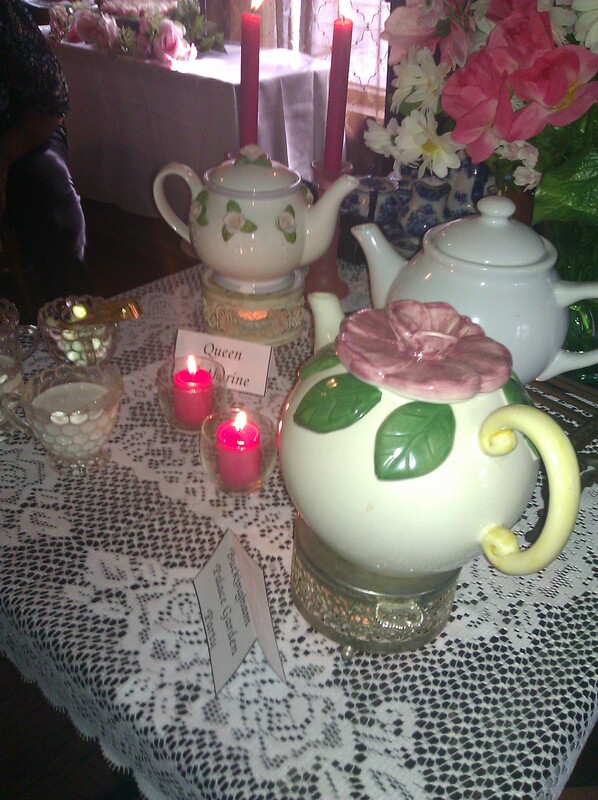 A tea group, how lady-like! 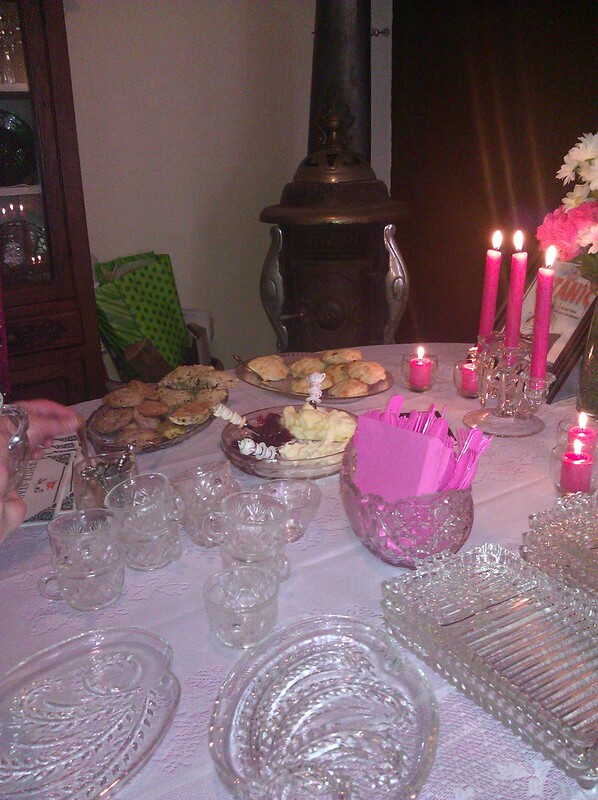 When I was little, my cousins and I used to have real tea parties with my Gram. She has quite the random collection of tea cups so we each got to choose something different. I might have to look into this group. I have belonged to the Bedford Circle Tea Society for the past five years. Each month we either go to another members home for a themed tea party or to a tea house. I look forward to the fourth Saturday of each month with anticipation. Good food and good conversation with friends who enjoy the art of afternoon tea is simply priceless!